The time has come when blood is the main energy and its extraction is more important than the extraction of conventional resources. 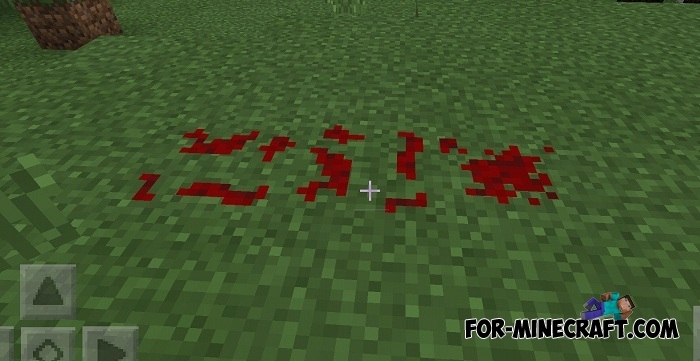 EvilCraft PE adds not only blood but also things to work with, store and extract. 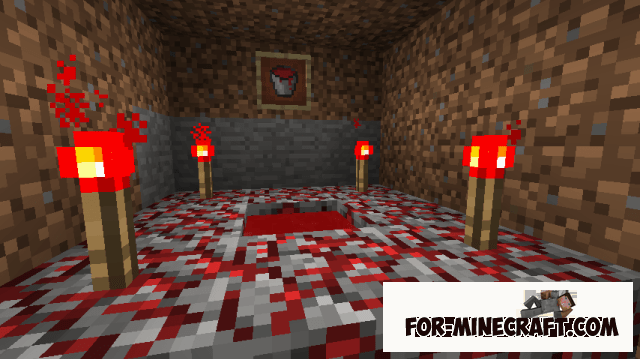 Like any other, the mod is at an early stage and is a ported version of the popular original EvilCraft mod for Minecraft Java. Blood is the main source of energy, it can be used in mechanisms and weapons. 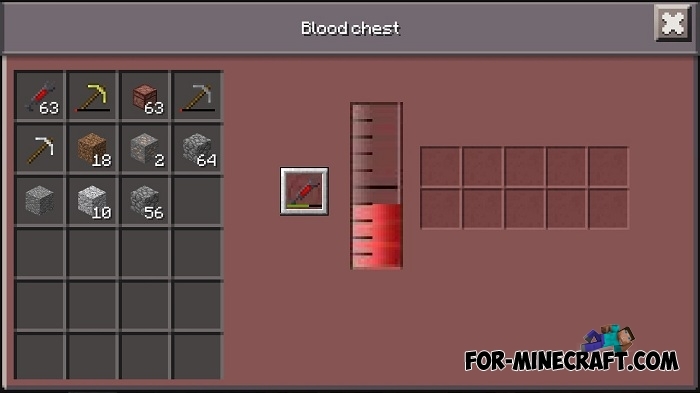 There are unique mechanisms for storing blood and also objects that can absorb blood. 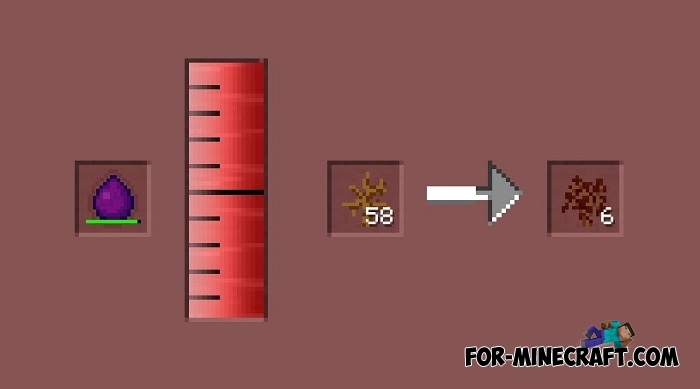 Recycle blood into other items. 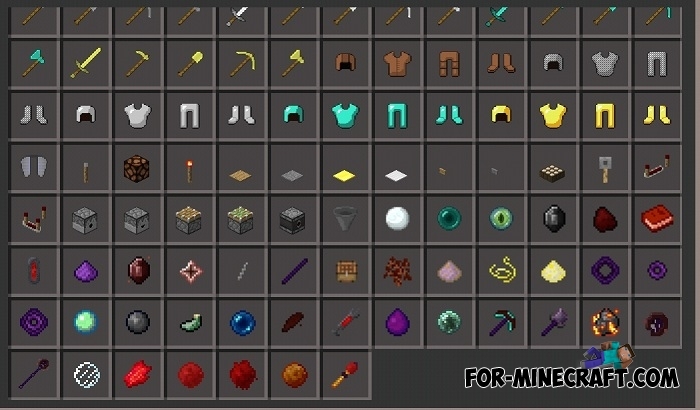 There are new crafting recipes, do not rush to turn on the creative mode. EvilCraft PE works only on Inner Core and needs testing, as this is only the first beta version and you can easily find bugs. Added new Thunderstorm Scepter - 50 damage. Added Vengeance pickaxe (Luck=10, strength=256). 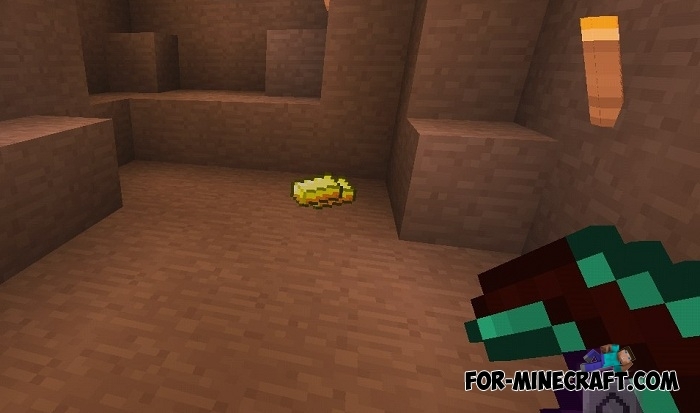 At the moment the pickax works only on vanilla ores. How to install the EvilCraft PE mod? Disculpen hay un fallo en el mod el cual cuando pico alg?n mineral de minecraft vanilla este no me lo da pero si lo pico con el pico de venganza si me los da. Por favor solucionen eso, es.un gran mod. 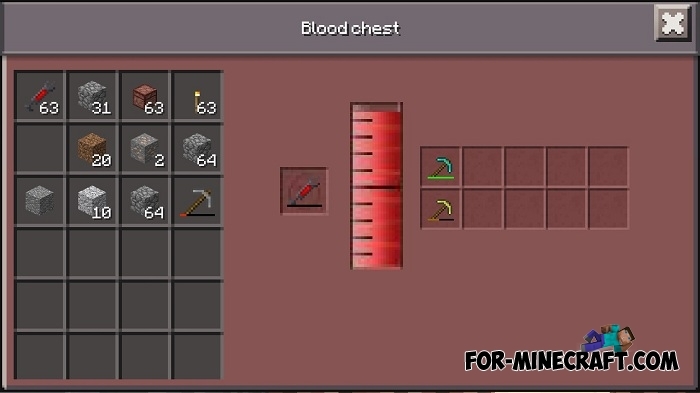 Ademas los mobs no sueltan sangre.